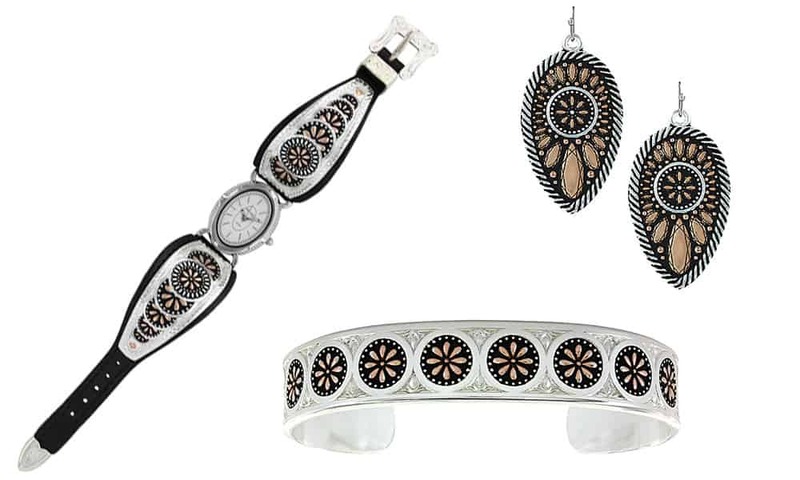 Montana Silversmith’s Prairie collection dazzles with blooms of rose gold on bright silver. The two-tone Meadowbrite cuff bracelet and matching watch meld classic western leatherworks and modern design. Pair with the Sunset Prairie Clover two-tone earrings for a match made in America’s golden grasslands.